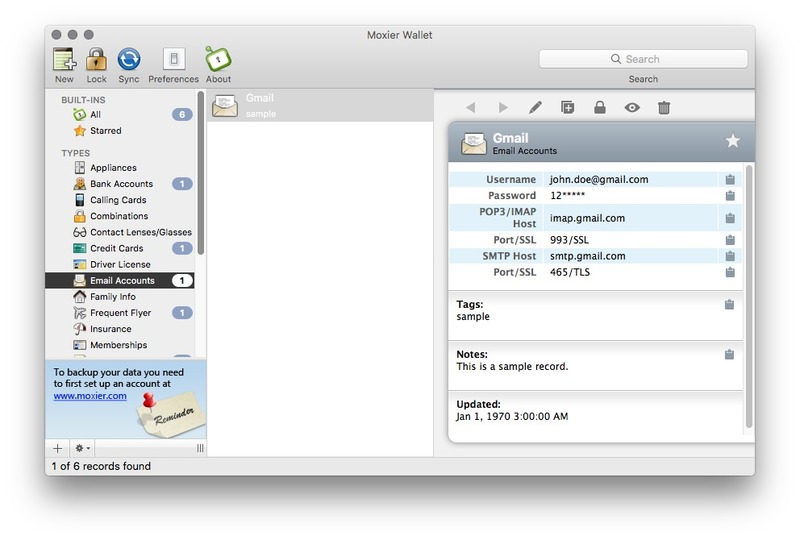 Password manager and personal information vault. Is there a better alternative to Moxier Wallet? Is Moxier Wallet really the best app in Security category? 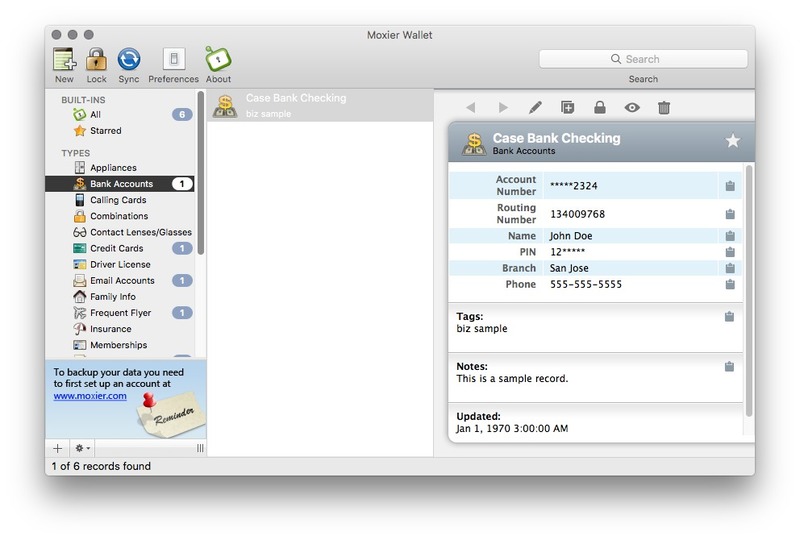 Will Moxier Wallet work good on macOS 10.13.4? 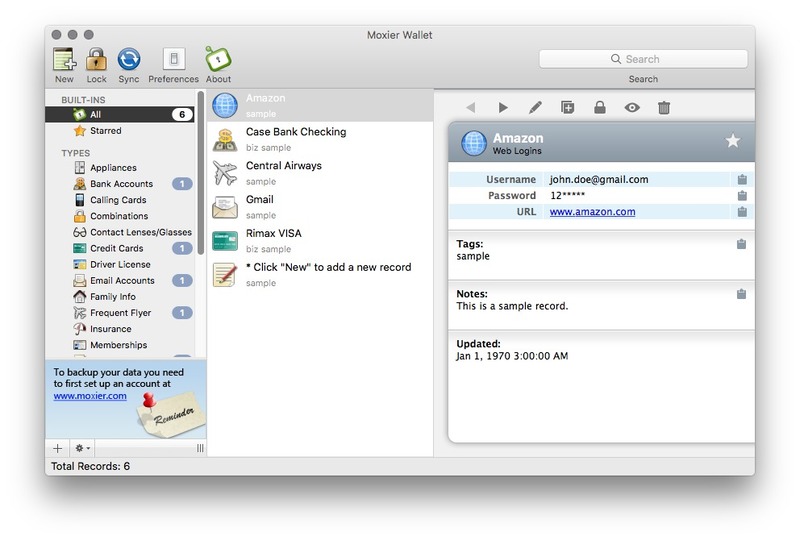 Moxier Wallet is a secure password manager and personal information vault for Mac Computers, Windows PCs, iPhones, iPod touches and Android Smartphones. Featuring easy-to-use software, powerful AES-256 encryption technology, and automatic multi-platform synchronization - Moxier Wallet provides an intuitive solution to help you overcome your ever-expanding personal data needs. Improved the implementation to reduce the possibility of password mismatch when changing Master Password. Moxier Wallet needs a rating. Be the first to rate this app and get the discussion started! 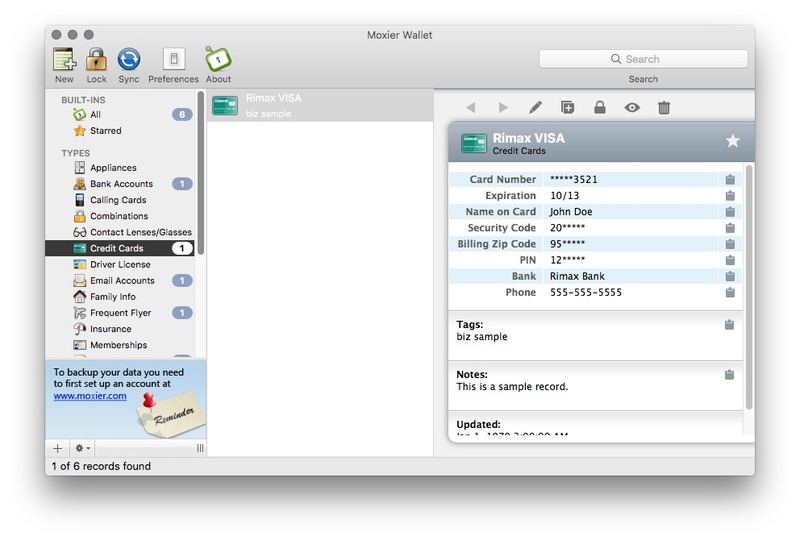 Moxier Wallet is easy to use and customizable. An intuitive graphical user interface enhances usability, tags and category lists improve data management, while smart-search features quickly display results for rapid data retrieval. 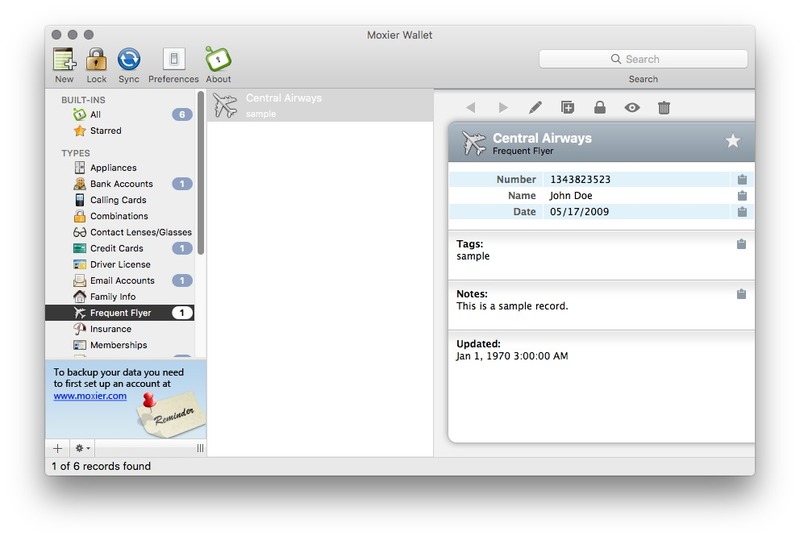 Moxier Wallet allows you to create your own templates, quickly duplicate existing records, and expand templates to include additional information such as customer service phone numbers, warranty information, serial numbers, security questions, and notes; thereby allowing you the flexibility to adapt the program to suit your individual needs. A password generator is also available to help you automatically create unique passwords of up to 20-characters in length (numbers, letters, and special characters). Thus allowing you to safely create, store, and quickly retrieve unique passwords for each website you register for. Many more features.